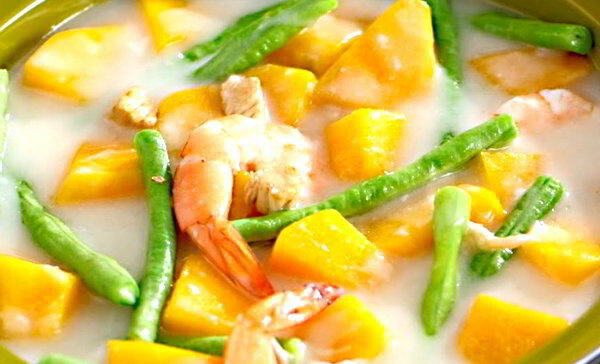 Ginataang gulay or vegetable in coconut cream is definitely a simple, healthy treat for you and your family. It is made from real coconut cream, seasoning, spices and vegetables. A must have in your carenderia or restaurant menu list. Try it now! 1. Boil the squash, sitaw and pork in water for 5 minutes or until squash is cooked. 2. Add the Knorr Ginataang Gulay Complete Recipe Mix. Stir to dissolve completely. 4. Simmer for 5 minutes with cover. Serve.